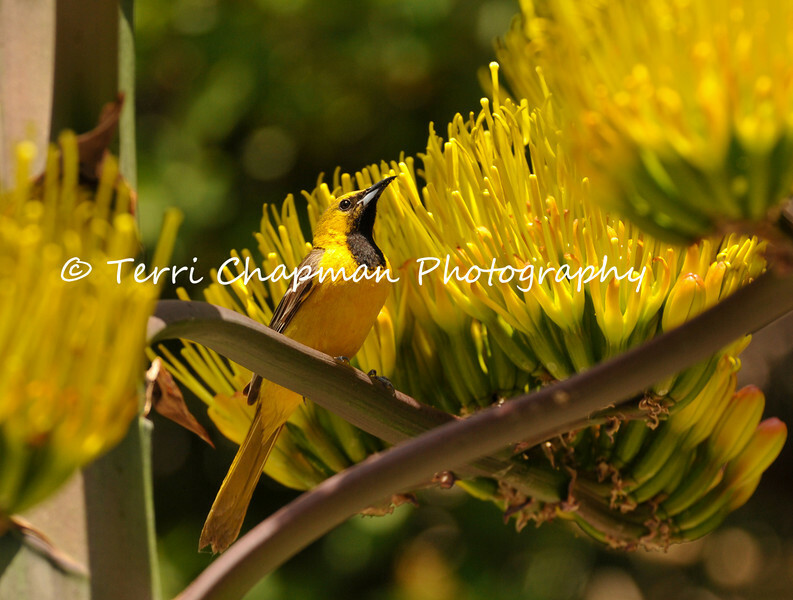 This image is of a male Hooded Oriole perched in a Century plant. Hooded Orioles are migratory birds (they move to different locations seasonally) and eat insects, spiders, fruit and nectar. This oriole had been drinking the nectar from the Century plant flowers. The Century plant typically lives only 10 to 30 years, but the plant dies after flowering, yet produces suckers or adventitious shoots from the base, which continue its growth.